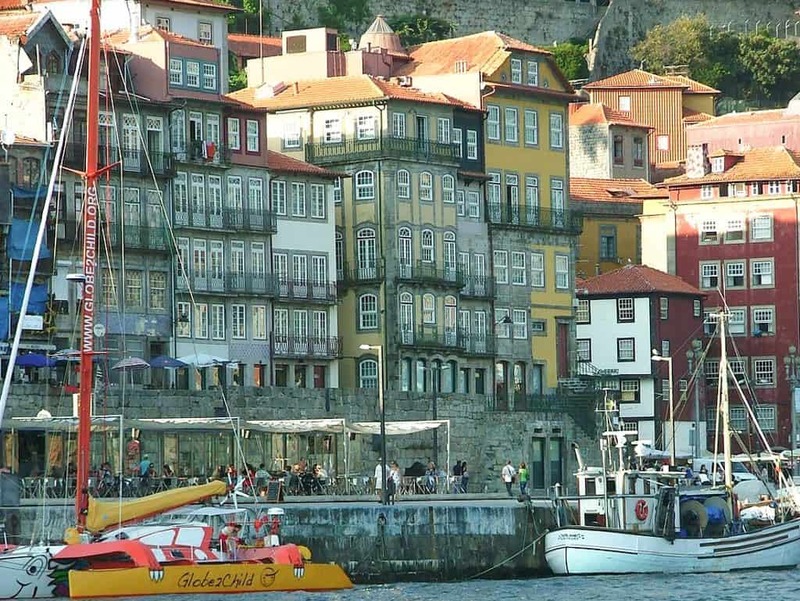 The historical city of Porto has many appealing site and activities available. Dating back to the 12th century, Porto’s old town (Ribeira) has fascinating architecture to see, including impressive monuments. One of these is the eccentrically decorated baroque interior of the Igreja de Sao. You can take a wonderful walking tour around the old town, getting to know the history. Furthermore, you can stop for a few tapas and fortified Port wine swigs along the way. If wine is more your tipple, head over the river to Vila Nova do Gaia which hosts the internationally-renowned wine cellars. On certain tours, you can include wine tasting and see Douro Valley’s verdant wine terraces and cellars. Night time in Porto can be celebrated with a dinner whilst listening to the traditional Fado music. Some tours will also take you around the city to see and learn about the city sights in the tungsten light. Once you’ve wandered around the city, you can take a boat trip on the River Douro. Pass under bridges which are great feats of engineering, such as the Luis I, which was constructed by one of Gustave Eiffel’s students. Families can enjoy the World of Discoveries Theme Park whilst learning about Portugal’s historical naval accomplishments. Walking through Jardins do Palácio de Cristal and seeing the views is a great way to pass the time and see some amazing views. What is Special in Porto? 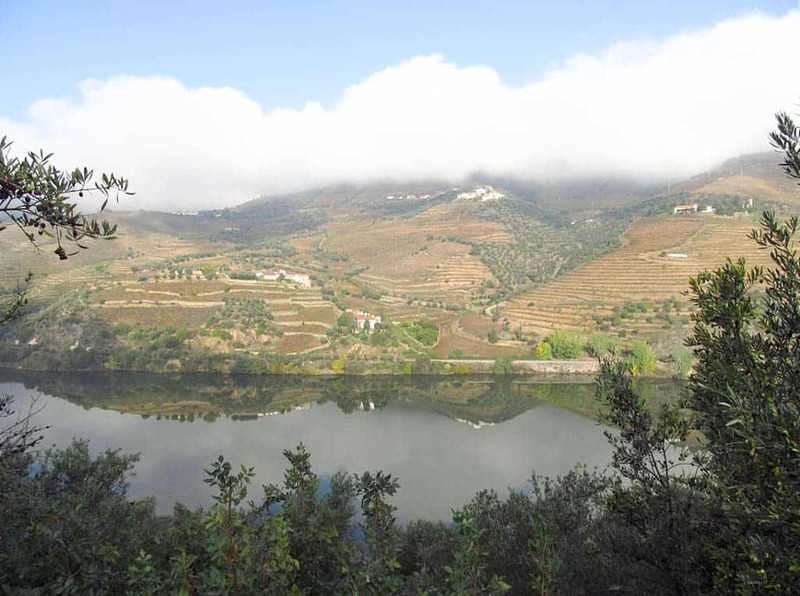 The climate, soil and river of the Douro Valley, provide the ideal conditions for the internationally-renowned fortified wine. As a result, wine terraces and cellars line the southern bank of the Douro River, and make for a great day wine tasting. From the old city of Porto, you can cross the magnificent Luís I Bridge to find traditional wineries aplenty. 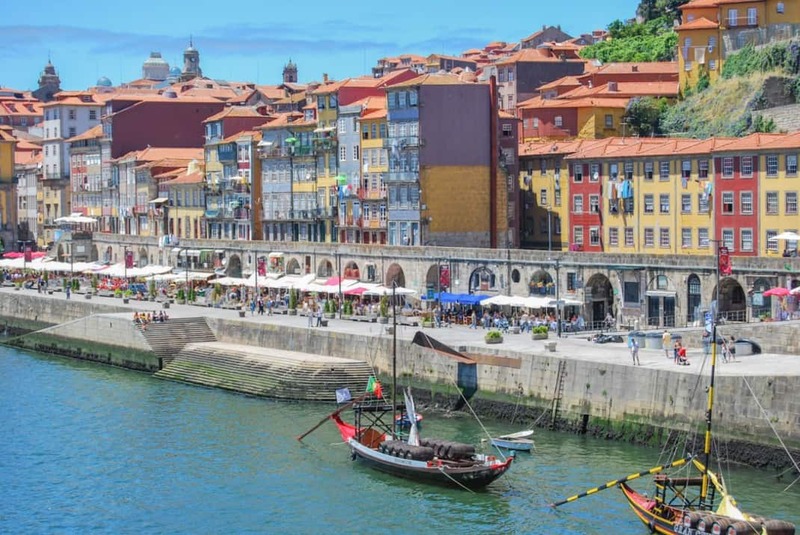 Porto’s Ribeira district is chockablock with medieval sights, narrow, colourful buildings and views of the Luís I Bridge (designed by an apprentice of Gustave Eiffel). The nearby Igreja de Sao Francisco church dazzles with its entirely covered Baroque interior. Another outstanding sight is the neoclassical Palácio da Bolsa, with its glass dome and even Moorish furnishings. There are many options to gaze out towards the river, the wine terraces or Porto’s old town. 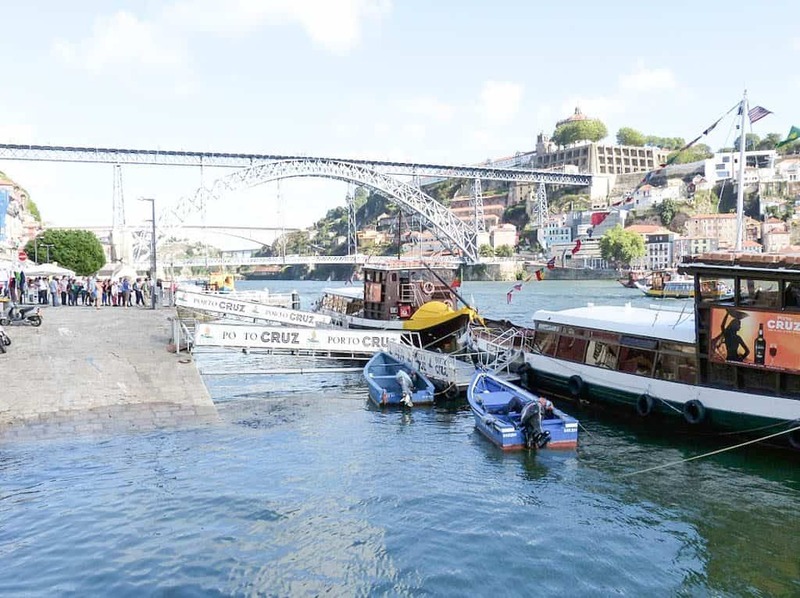 You can find a new perspective by taking a boat tour from one of Porto’s grand monuments. 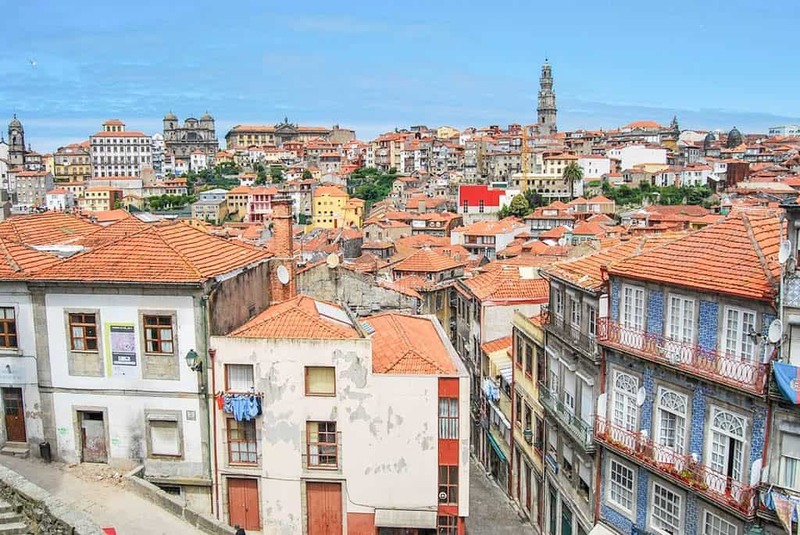 The view from the bell tower of the Clérigos Church is one of the best, likewise, from Vila Nova de Gaia, you can find a magnificent vista of the bridge and Porto skyline.